Debra Magad joined the CBF staff in September 2017. 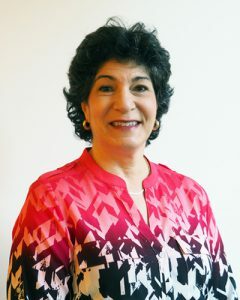 The CBF’s first Major Gifts Officer, Debra is responsible for creating and executing a strategic major gifts and planned giving fundraising plan to build current and longer-term support for the CBF. She will also lead the CBF’s 70th Anniversary fundraising efforts. Prior to joining the CBF, Debra served for seven years as the Director of Development for Grant Park Music Festival of Chicago. During her tenure, she developed and managed all aspects of the Festival’s fundraising and revenue growth. Debra also previously served in several development roles at The Joffrey Ballet, including Director of Development. Debra earned a B.A. in Art History from the University of Illinois and a law degree from DePaul University College of Law. Debra resides in Chicago where she sings in several community choirs. She enjoys spending time with her family, attending theater, playing golf, cooking and reading.